Two day late weekly news update! Also, Merry Christmas! Not much has happened really. The dates for Hello! Project Hinamatsuri Festival of 2015 have revealed. They will be on March 28th and 29th, the first time without Berryz Koubou. 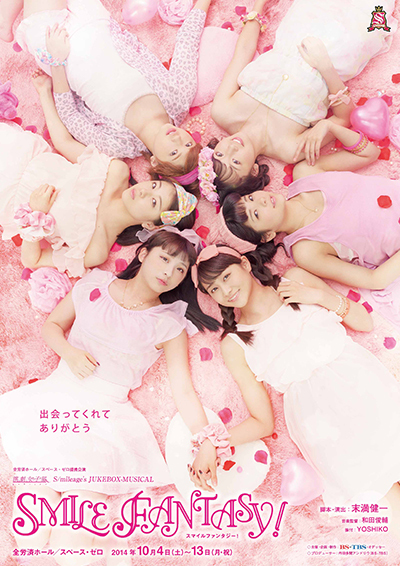 On December 24th the DVDs for S/mileage’s most recent musical and Berryz Koubou budokan live went on sale. There’s also some overseas news… Berryz Koubou will be holding a Naruchika live in Thailand upcoming february, and Yuu Kikkawa will perform at Natsumatsuri, also in february! I think it’s great Berryz get to have a last overseas live like that, if I remember correctly they’ve been there before and they’re quite popular in Thailand. As Kikka, it’s great for her as well. She has been overseas quite often already I think and she just keeps going! This week’s Hello! Project Station reveals a MV preview for Berryz Koubou’s song ‘Love together!’, a new song included on their upcoming and final compilation album. I didn’t know they were going to release something for it, but it does look very nice! I love how they’ve incorporated old dance moves into the dance for this one, it’s a nice gesture. The end of the year is coming closer quickly. Soon Morning Musume ’14 will be Morning Musume ’15! 12th gen will be joining, and ANGERME’s 3rd gen will be joining… An interesting year is coming! That’s it for now!